From time-to-time as with your PC, Mac or any other mobile platform, you will have an app that misbehaves. It doesn’t load or it crashes or, worst case, it loads and runs but consumes a huge amount of memory on your device. This is often referred to as a memory leak and it can cause other apps to misbehave and for your device to run sluggishly. 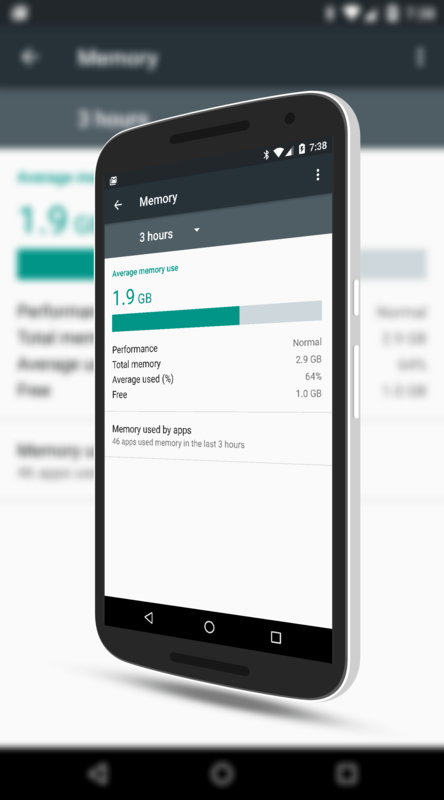 In Android Marshmallow there is a way to see not only the amount of memory you have available on your device but also the ability to see individual apps and the amount of memory they are consuming. If you have an app that is consuming all your available memory, you can even force it to stop so you can regain the memory. To start, go to Settings>Memory on your Android Marshmallow phone or tablet. There you will see a bar graph with the average amount of memory that has been used on your device for the last 3 hours. You can adjust that time frame to 6 or 12 hours or for a day if you so chose but if you are running into sluggishness and you suspect an app is the culprit, the 3 hour view is usually the one you will need. To change the time frame, use the pull down menu next to where it says 3 hours. Below the bar graph you will find a good amount of information about the memory (RAM) in your phone or tablet. You will see how it is performing, the total amount of memory available, the average percentage of that memory used and the amount of free memory you have currently. If you have ever been curious as to just how much RAM is on your particular phone, now you know where to find out. Further down the page you will see a section “Memory used by apps” and it will tell you the number of apps that have used memory in the last 3 hours. This is the section we are interested in for this How To. Tap on that section and you will open up a page that displays all of the apps that have consumed memory in the last 3 hours (or whatever time frame you have set). You will see not only apps that you have installed, but also Android system apps like Android OS, Android System, System UI, etc. consumption, especially in 15-20 minutes, then you likely have found your culprit. What to do next is really up to you. If you know there is an update out, get that update (or check in the Google Play Store) as the developer may be aware of the issue already and released an update. If not, you should contact the developer and provide as much information as possible on the leak. Contrary to popular belief, developers actually do want to hear from users, especially if they are experiencing a problem with their app. Give them a chance to fix it. Finally, there is always the “nuclear option” which is to uninstall the app and wait for an update to be released that hopefully fixes the issue.